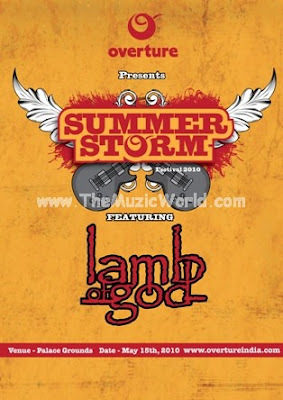 LAMB OF GOD is coming down to Palace grounds, Bangalore on May 15th to headline at the Summer Storm Festival. Courtesy of Arpan Peter and Vinay Venugopal of Overture India, LAMB OF GOD, one of pioneers of New Wave of American Heavy Metal are coming down to what’s going to be one of the biggest rock shows on planet earth. Social networks like facebook and orkut are already buzzing with enthusiastic metalheads who are willing to travel the distance to Bangalore from all over India and overseas. what is d cost of the entry pass 4 lamb of god concert?